What's the best plan for me? How to choose Scheduler subscription? 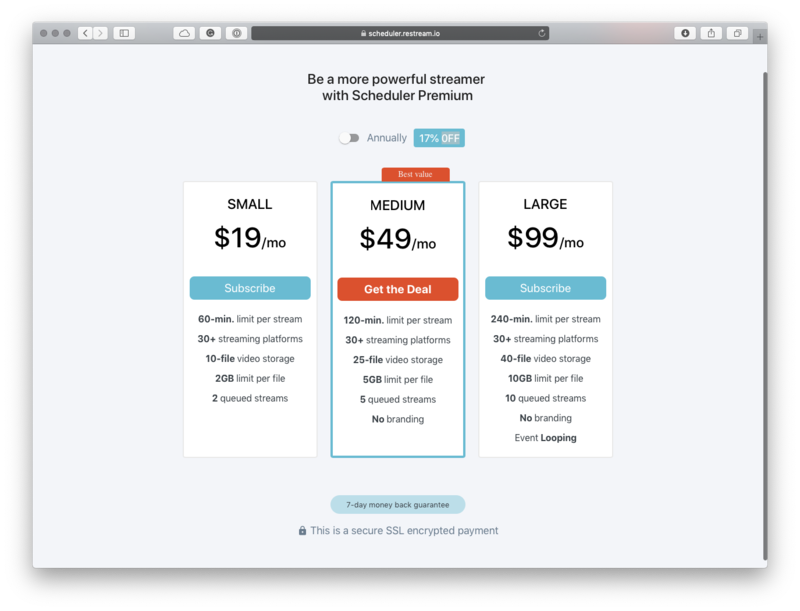 Since we already learned what Scheduler tool is and decided that it is a good fit for our needs - it is time to choose your subscription plan. In this guide we will describe all the pricing options currently available and what are their limitations. As you can see on the main page we have a number of options starting from Free and going as far as requesting a custom Enterprise package. 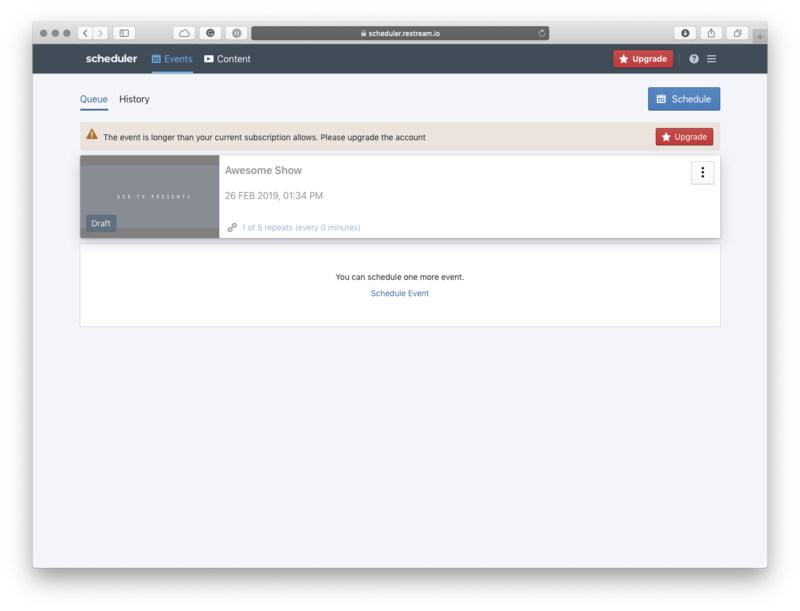 ENTERPRISE - fully customizable by request. Tip: Feel free to fill in our Enterprise contact application form here. Event Duration - is the maximum length of the video you can schedule, if you will have Small Plan, for example, which allows up to 1 hour duration you will not be able to Schedule a video which is 1hr 15min long. 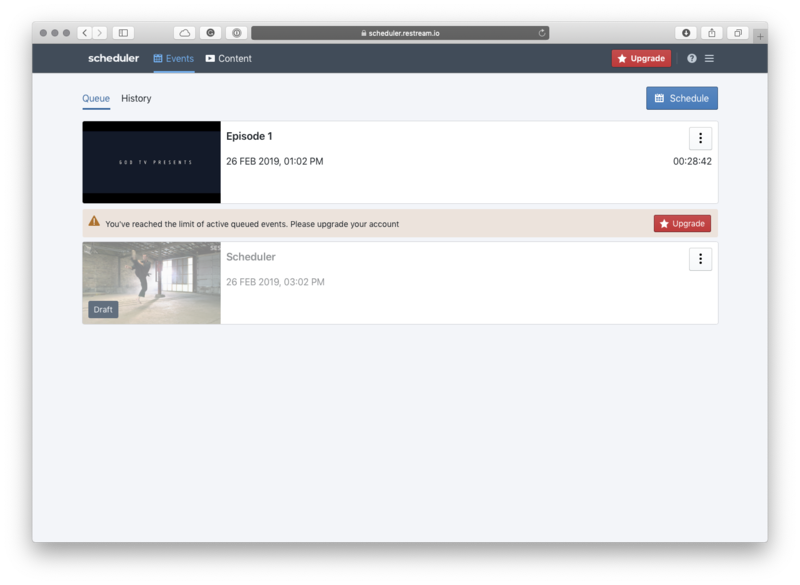 Content Storage - is the amount of videos that you can store for use in your Scheduler library, all those videos are always available to use in event slots anytime you need them. 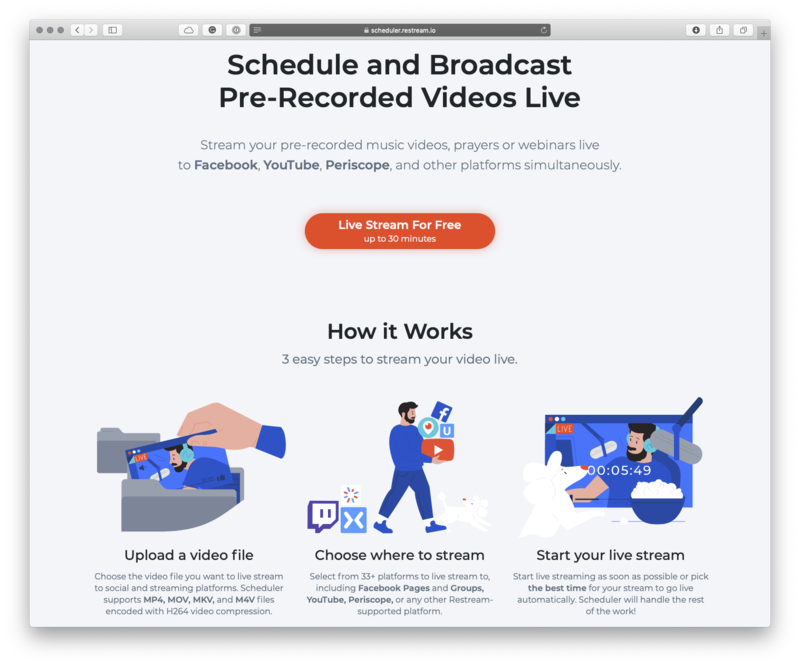 No Branding means that Scheduler won't add any logos or links to your streams. 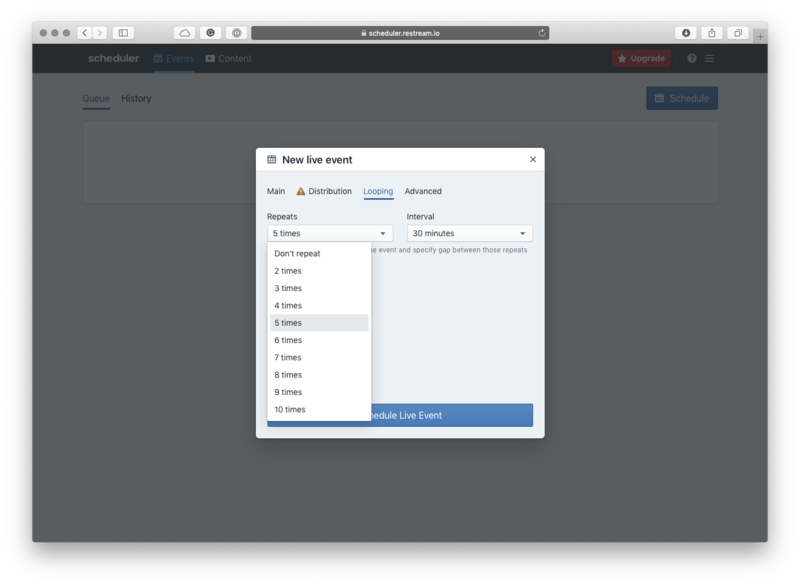 Event Looping is advanced feature which allows you to repeat your event up to 10 times with different time interval between those repeats. You can upgrade or downgrade your scheduler plan anytime you need from your billing section, all the charges automatically prorated by the system and you will pay only difference upon switching. Site back, relax and let the Scheduler do the job for you! 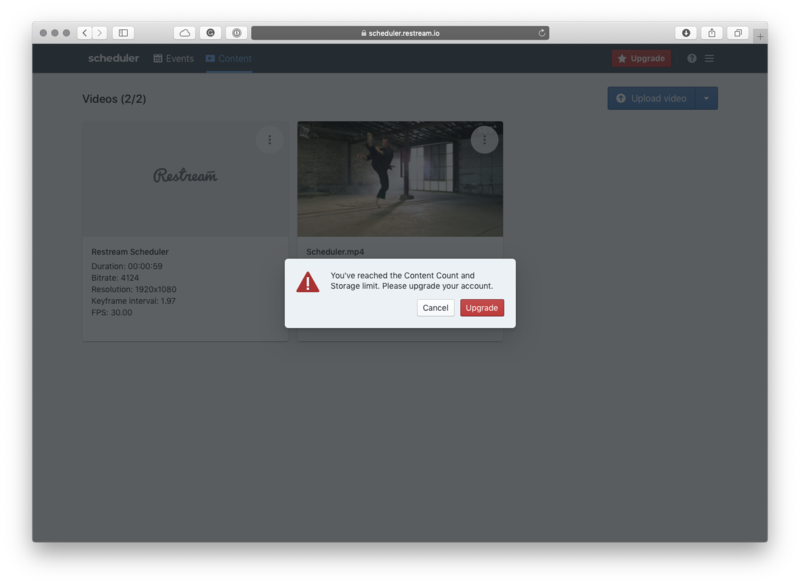 Tip: You can check our video optimization guide to bring the ultimate Scheduler experience for you and your audience.